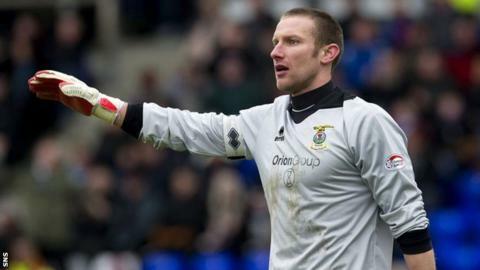 Inverness Caledonian Thistle goalkeeper Ryan Esson has signed a new two-and-a-half year contract with the Scottish Premiership club. The 33-year-old joined Caley in 2008 and has made over 150 appearances for the Highlanders. However, Dean Brill has been first choice keeper for Inverness so far this season. "I've been impressed by Ryan's attitude and commitment", manager John Hughes told the Inverness website. "He's been working very well in coaching Dean Brill while still having his own aspirations to again be the first choice keeper."